Buying a home in Tacoma can be intense, competitive and overwhelming. From choosing the right real estate agent, to doing your loan research, to picking the right neighborhood of Tacoma to live in, the whole process can be complicated. Here are 5 tips for first time home buyers in Tacoma. If you’re starting to consider moving to Tacoma, it’s best to start saving money now. While it’s not necessary to put down 20% down for your loan, you will need to put down at least 3.5%. 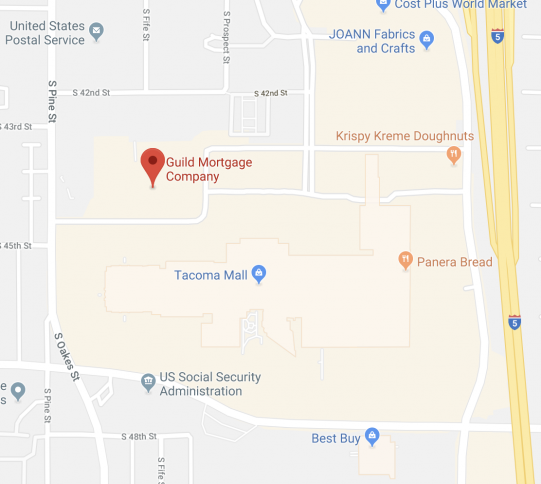 For example, if you’re a first time home buyer in Tacoma and you’re looking to buy a home that’s $300,000, you’ll need to put down at least $10,500. Some tips to save money for a down payment include putting tax refunds and bonuses into your savings pool. Unfortunately the costs don’t stop after you sign the closing documents. Once you’ve saved for your down payment, you’ll need to set aside money to cover what will go inside of the house. 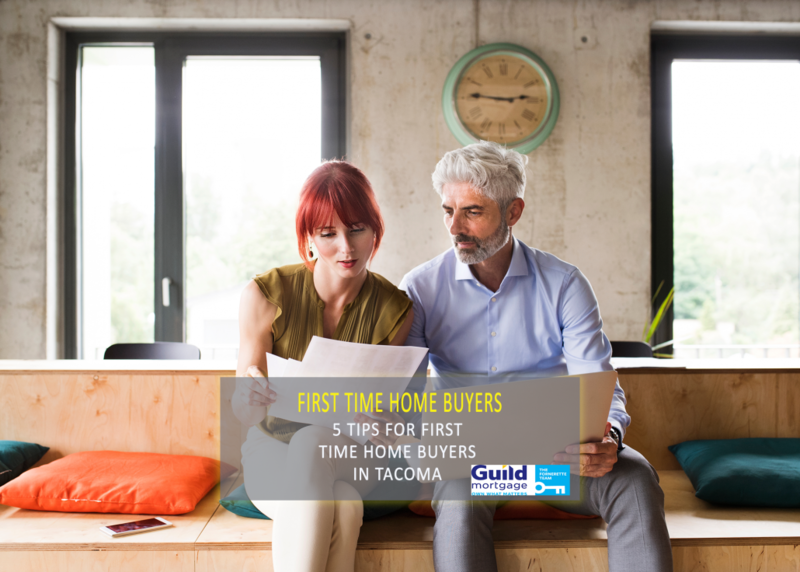 For example, if you’re one of the many first time home buyers in Tacoma, you will likely need to buy new appliances to fill the home as well as furniture, paint and update fixtures. Budgeting for these costs after move in will prevent the stresses that would come with having to buy all of the items with a very low/no budget. Just because a real estate’s agent has a well written bio, doesn’t mean they are the right buyer for you. 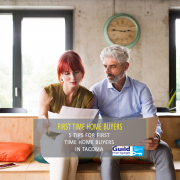 Some real estate agents specialize in assisting first time home buyers in Tacoma, so they will understand and help you through the home buying process. 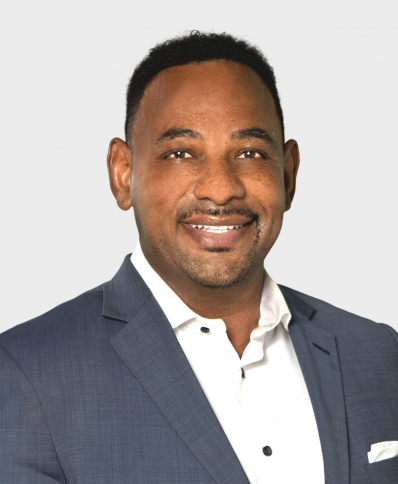 The most important thing is to find an agent who will be in your corner 100% of the time and will help the process go as smooth as possible for you and your family. Finding the right home for you doesn’t just mean the home itself. Research the schools, even if you don’t have kids, since that affects a home’s value. It’s also a good idea to look up crime rates and local safety reports. See where the closest grocery store is and evaluate if you’re willing to drive that far to get a couple things from the store. Additionally, drive through the neighborhood at different times of the day to check out traffic and activity levels. When you’re looking at buying a home in Tacoma, it’s easy to get caught up in the small superficial details of a home. These details can include paint color, fixtures, carpets, and curtains. Truly think about the most important thing to you in a new home and let the other things go. If location is the most important thing to you, then weighing that heavier than if the carpet is new will result in a more satisfactory purchase.